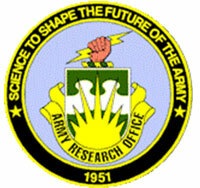 SIS faculty are part of a research project funded by the Army Research Office's Multi-University Research Initiative. Prashant Krishnamurthy and David Tipper will collaborate on research on how to construct robust and secure mobile ad hoc networks. "ARSENAL: A cross layer ARchitecture for SEcure resilieNt tacticAL mobile ad hoc networks" is a joint effort of 12 professors at 7 institutions: University of California, Davis; University of California, Santa Cruz; University of California, Riverside; Brigham Young University; University of Utah; University of Pittsburgh; and the Pennsylvania State University. The Army Research Office funded this innovative project for a five-year period at $6.25 million. The goal of this project is to develop a cross layer architecture that provides comprehensive security and resilience for mobile ad hoc networks. The resulting architecture will be able to adaptively provide the appropriate trade-offs between performance, security and fault-resilience. Krishanmurthy and Tipper are associate professors in the School of information Sciences at the University of Pittsburgh.